THINK YOU’VE GOT WHAT IT TAKES TO PODCAST WITH THE BEST? WANT YOUR SHOW PART OF VOC? CLICK HERE. IN THE ROOM with Wes BriscoYour browser does not support the audio element. SCHEDULE! | LIVE! | ARCHIVES WORLDWIDE! Welcome to TheBradyHicks.com and VOCNation.com … the online home of journalist Brady Hicks, his writing, weekly IN THE ROOM podcast, play-by-play commentary work, and, of course, the entire live, daily VOC Nation Podcasting Network! Brady Hicks is a Philadelphia-based journalist, radio personality, blogger, columnist, wrestling reporter, play-by-play commentator, color analyst, and former professional wrestling manager. 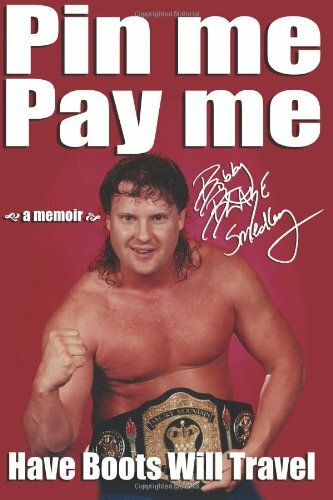 His writing has been featured in Pro Wrestling Illustrated, The Inquisitr, The News Gleaner and its Life series, the Philly MetBlogs, and ProWrestling.com, among dozens of other newspapers, magazines, and Web sites. Brady has been a podcaster since 2009. His weekly program, IN THE ROOM, runs live Tuesday nights, 9-11PM ET. Call in at (914) 338-1885! Brady is also a former co-host for the VOC Wrestling Nation, which aired on WNJC 1360 AM Radio, Philadelphia, and is the play-by-play voice for both the East Coast Wrestling Association and New Moon Rising Wrestling. The VOC Nation Radio Network traces its roots back to 2009 in suburban Philadelphia. Bruce Wirt took over the afternoon shift on the Voice America Health and Wellness Network and proclaimed himself, “your new ‘Voice of Choice’ in afternoon radio.” The V-O-C in VOC Nation was born. Over the next 3 years, Wirt took his act to Philadelphia radio, eventually settling in at independently owned WNJC 1360 AM. The VOC Nation Radio Network spun away from WNJC in October 2012 and took to the “cloud”, using their solid fan base to instantly become one of the most listened to mediums on the Internet. In 2014, VOC Nation merged with Brady Hicks’ IN THE ROOM Internet Radio Network, giving the combined medium over 50,000 monthly listeners. VOC Nation Radio streams live programming 7 days a week. VOC Nation has nearly 100,000 Twitter followers and has consistently ranked in the top 1% of downloadable podcasts as ranked by Podomatic and BlogTalk Radio, as well as in the top 5% of live streaming programming as ranked by Stitcher Internet Radio.